We taught our daughter Trinity structural welding as part of her apprenticeship. Hell ‘N’ Back Welding Ltd. is a CWB certified company, and she completed the testing as part of our regular company audit. I am also a certified CWB Supervisor, allowing me to teach and supervise her CWB structural welding. 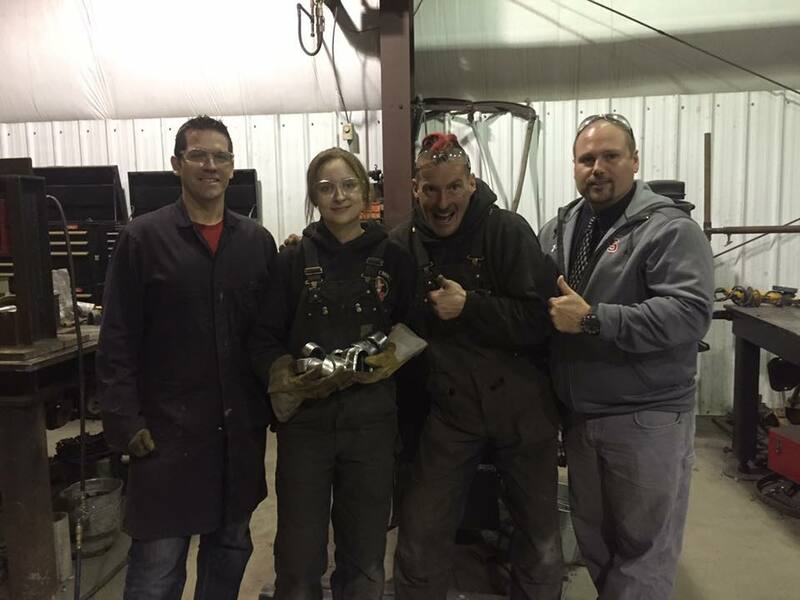 After two weeks of practice, Trinity passed all four of her CWB tests on her first try and earned her all position CWB structural welding ticket in October 2016, at only 16 years old. Past apprentices we’ve had have never managed to pass all four welding position tests the first try, and have often needed to retest later. Trinity, however, had no problem passing all four. Trinity is now certified to weld with us on bridges and other structural steel projects. 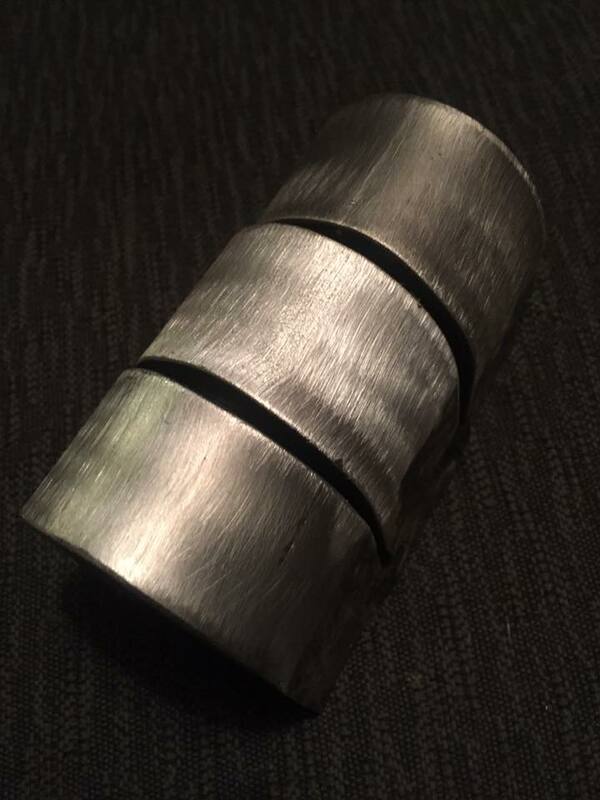 Her welds had to successfully hold up under a full bend test without tearing or showing too much porosity (small holes). Her welds easily withstood the testing to show their quality is high enough to be certified by CWB. This is a very special moment of success for all of us, not only because we are able to pass the welding trade on to our daughter, but because thanks to her hard work she is already excelling. 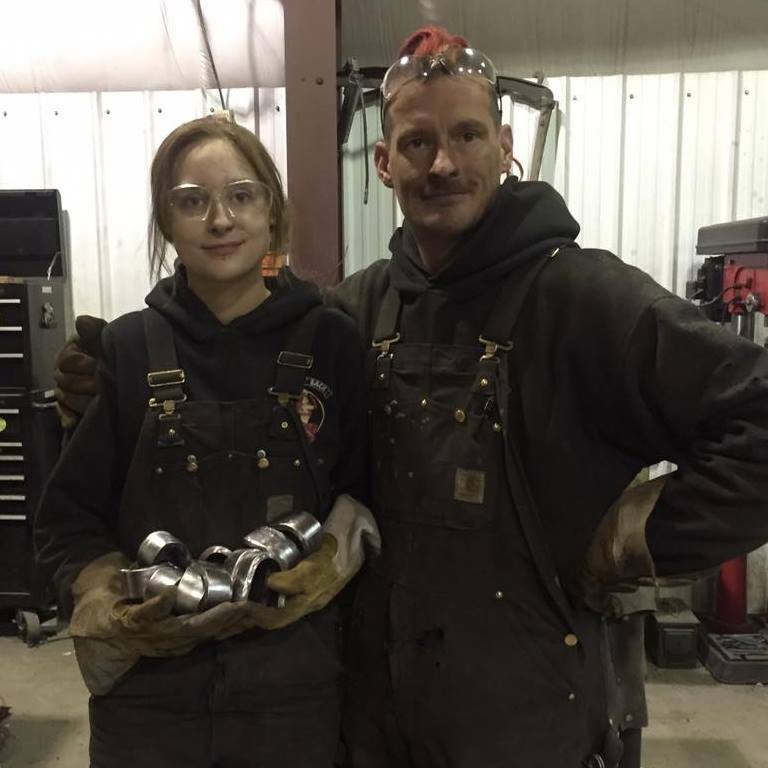 Last year, she also earned Gold in Welding at the Regional Skills Competition in Fairview, Alberta, and then placed 6th in the province overall for welding. However, unlike her gold medal, this new ticket entitles her to legally weld on certain projects for any CWB certified company, including ours. That means it is the next important step in her welding career and makes her even more valuable help at our company. Trinity plans to attend college for her welding tickets starting in fall of 2017. Left to right: CWB Tester Paul Lewis, Trinity Thompson, Doug Thompson and RAP Coordinator Scott Randall.